What's the Contingency Plan if NJ Transit Workers Strike? New Jersey Transit officials say the service won't be able to get all commuters into New York if rail workers strike next weekend. 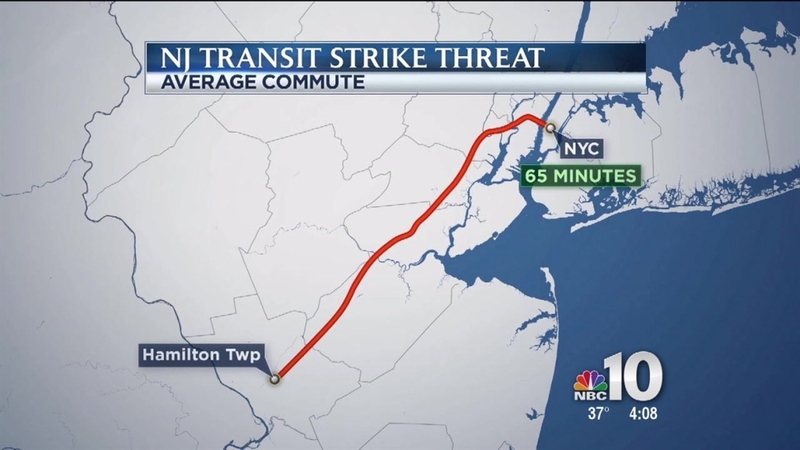 NJ Transit estimates that a 65-minute commute from Hamilton, Mercer County, or Morristown to New York City would take well over two hours via bus and PATH train. About 105,000 people commute into New York via trains, either on NJ Transit or in combination with PATH. NJ Transit interim executive director Dennis Martin said Thursday beefed-up bus service, ferry and light rail service will accommodate a maximum of about 40,000 people. PATH also is expected to extend peak service rail operations.